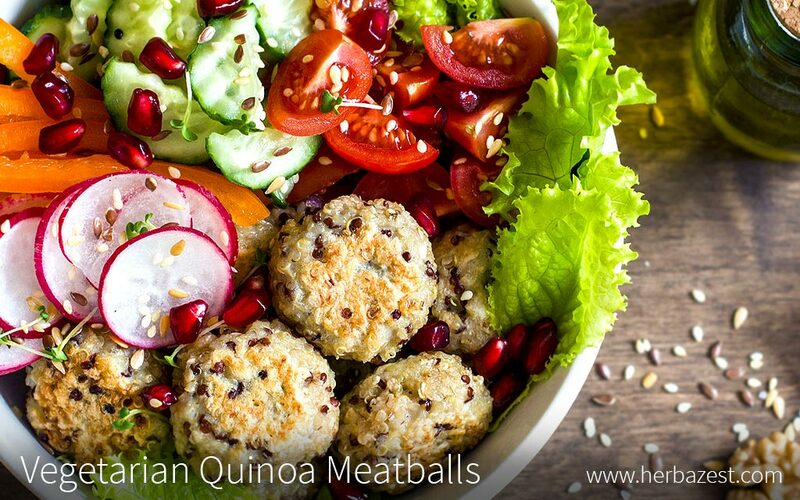 Vegetarian quinoa meatballs not only look and taste great, but are also packed with wholesome ingredients. Among them is quinoa, "the mother of all grains", which is an excellent source of protein, necessary for strong musculature. Cauliflower adds lots of vitamins and minerals to this dish, such as bone-supporting vitamin K, while sesame and flax seeds share their richness in fiber as well as copper, iron, and zinc. Take the meatballs out of the oven and place them over your salad. Serve right away!